Roger James is bullish about the future staying prospects of the lightly-tried Fawn. 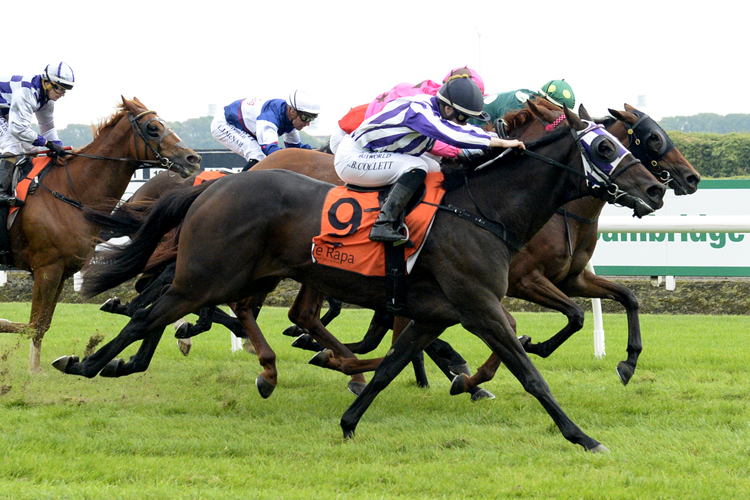 The Cambridge horseman had further reason to be upbeat about the four-year-old after she produced a strong performance to win the Red Cabs Hamilton Handicap (2200m) at Te Rapa on Saturday. “That’s her first run over ground and it’s what she’s bred to do,” James said. “I’ve been lucky to have such patient owners. Fawn was well-handled by Alysha Collett, who settled midfield and one off the fence before they began to pick up ground three wide with cover 3 f from home. “The track was a bit of a concern, but it was a lovely ride by Alysha and she just out-stayed them in the end,” James said. Fawn’s sustained finish was rewarded with the third win of her six-start career and came at the expenses of Lovelight, who raced close to the pace, and Brookbars was a gallant third after taking off from the back with 4 1⁄2 f to run.